For more information please call Hardtec at (408)846-2708 or email mfaris@aol.com refurbished with 30 day warranty. 65 DPM (DOCUMENTS PER MINUTE) CHECK SCANNER TESTED WORKING. 30 DAY WARRANTY. 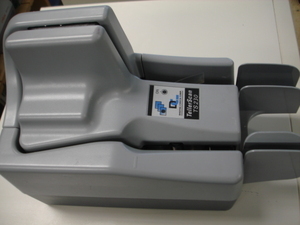 We also repair and offer many other check scanners.